ELYRIA, Ohio — Technically, no—winter’s not here yet. But in the practical sense, the season’s dropping temperatures, snow, and ice are already impacting large parts of North America, so it’s time to make sure trucks and fleets are prepared. This installment of the Bendix Tech Tips Series offers 12 pieces of air system, electronics, and wheel-end advice to help keep your vehicle in good operating condition as things get frosty. 1. Keep it dry: Moisture in the air system can condense and freeze, increasing the odds of brake and valve malfunctions. If the air dryer cartridge hasn’t been replaced lately, now is the time to do it. Bendix recommends oil-coalescing cartridges like the PuraGuard, since oil aerosols passed into the system can be particularly harmful. 2. Check the dryer’s purge valve for corrosion or grit accumulation and replace it if necessary. Corrosive road chemicals can damage the purge valve, and putting in a new one as a safeguard is a relatively quick and simple bit of preventive maintenance. 3. Manually drain the air tanks to start the season: Today’s vehicles use compressed air for more non-braking functions, including automated manual transmissions (AMTs), advanced safety systems, and emissions controls. Draining every three months is generally sufficient for typical line haul trucks, but more often – monthly or even weekly – is recommended for vehicles with high air demand, like vocational trucks. 5. Remember that driver assistance technologies – like stability and collision mitigation – rely on maintenance of lower level systems like tires and the brakes to ensure performance in the field. Maintaining these systems is especially critical in winter when electronic systems may be called on more often to help mitigate crashes. Check tires for adequate tread depth and proper wear, and wheel-ends for tight bolts and cracks. 6. Run a diagnostic check to make sure tire pressure monitoring systems are operating properly. Internal and external temperature swings, along with slick road conditions, make running on the right tire pressure exceedingly important in the winter. 7. Keep external cameras and radar sensors – forward-mounted collision mitigation units, for instance – clear of snow and ice by checking them immediately prior to getting on the road. 8. Check connections to ensure they are secure and water tight. Salt and other road chemicals can cause corrosion, which can ruin connectors and components. 9. Check air brake chamber housings for corrosion – or damage that could allow corrosive materials to take hold – and ensure that dust plugs are properly installed. 10. On drum-braked wheel-ends, lubricate the automatic slack adjusters, clevis pin connections, cam tubes, shafts, and bushings. Lubrication is an effective tool for combatting corrosion, since it keeps moisture at bay. 11. On wheel-ends with air disc brakes, check the guide pins and inspect the boots for tears or punctures that could permit corrosion of the caliper within. Replace any pins or boots as needed. Verify that the shear adaptor cover is in place and fully seated. 12. Ensure free movement of air disc brake pads in the carrier – remove them and clean the carrier surface with a wire brush, if necessary – and make sure that the brake moves freely on its guidance system. Winter hazards can ruin a driver’s or fleet’s day—and they don’t always take the form of things like blizzards or icy roads. But maintenance and upkeep efforts in the shop and on the road can keep vehicles running smoothly and safely. Information in the Bendix Tech Tips series can be found in the Bendix multimedia center at knowledge-dock.com. Further instructional videos and interactive training on air systems, electronics and controls, and wheel-end technologies are available at the Bendix On-Line Brake School, www.brake-school.com. For more information on wheel-end and air dryer maintenance, contact the Bendix Tech Team at 800-AIR-BRAKE. About Bendix Commercial Vehicle Systems, LLC. Bendix Commercial Vehicle Systems, a member of the Knorr-Bremse Group, develops and supplies leading-edge active safety technologies, energy management solutions, and air brake charging and control systems and components under the Bendix brand name for medium- and heavy-duty trucks, tractors, trailers, buses, and other commercial vehicles throughout North America. 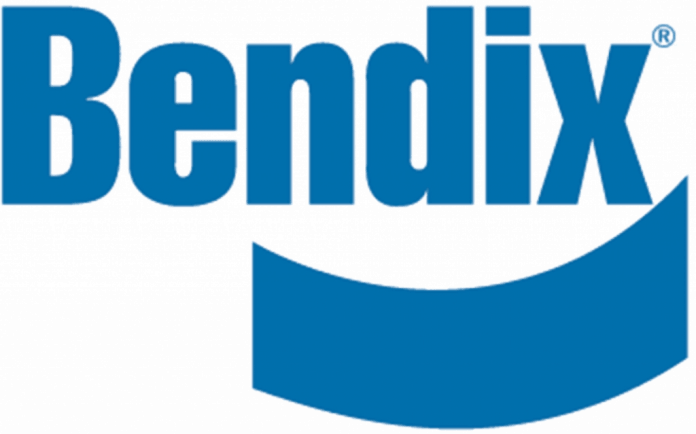 An industry pioneer, employing more than 3,200 people, Bendix is driven to deliver solutions for improved vehicle safety, performance, and overall operating cost. Contact us at 800-AIR-BRAKE (800-247-2725) or visit bendix.com. Stay connected and informed through Bendix expert podcasts, blog posts, videos, and other resources at knowledge-dock.com. Follow Bendix on Twitter at twitter.com/Bendix_CVS. Log on and learn from the Bendix experts at brake-school.com. And to learn more about career opportunities at Bendix, visit bendix.com/careers. About Bendix Spicer Foundation Brake, LLC. Bendix Spicer Foundation Brake LLC combines and expands the complementary wheel-end foundation brake technologies of two global leaders—Bendix Commercial Vehicle Systems, LLC., and Dana Commercial Vehicle Products, LLC. The joint venture, formed in July 2004, is a single, complete source for OEM brake system design, manufacturing, hardware, and support for all foundation brake components and actuation systems, as well as all-makes coverage of nearly 50,000 medium- and heavy-duty aftermarket parts. Contact us at 866-610-9709 or visit foundationbrakes.com. Stay connected and informed through Bendix expert podcasts, blog posts, videos, and other resources at knowledge-dock.com. Follow Bendix on Twitter at twitter.com/Bendix_CVS. Log on and learn from the Bendix experts at brake-school.com. Previous articleDo you set personal goals with employees at the end of the year?